Depart from Quito through the Avenue of the Volcanoes, while admiring the beautiful Andean landscape, this is a great opportunity to take pictures, brief stop at the Cotopaxi National Park. Arrival to Riobamba and accommodation in a typical hacienda of the region. The next day breakfast will be served and departure to the train station located in Alaus. 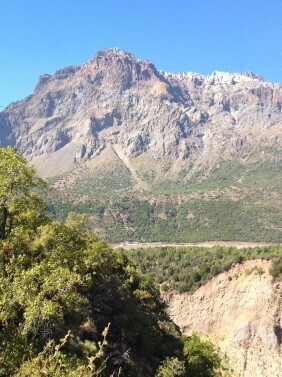 From her well enjoy a train ride towards the famous Devils Nose (a magnificent work incrusted in the Andes), return to Alaus (train ride takes aprox 2 hours). Return to Quito in the afternoon. Admire the beautiful Andean landscape and discover the magic of the "Avenue of the Volcanoes." This trip will have you experience Cotopaxi National Park, Riobamba, the Devil's Nose Train, and Cuenca. Please see below for the full itinerary. This 3 day trip is a great way to soak up the beauty of the Andes and the attractions that pave the way. You will visit El Cajas National Park, alpine glacial lakes, 3 Cruses, and you will enjoy a train ride towards the famous Devil's Nose. Please see below for the full itinerary.